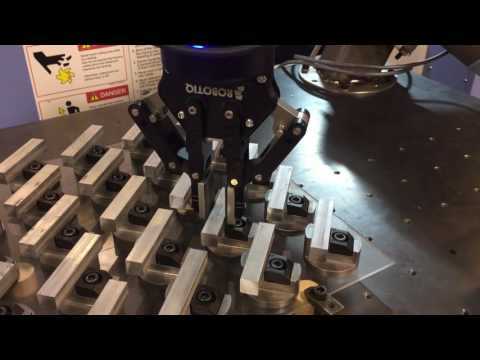 Hi @rhauck , we have a customer looking to integrate a robot and gripper with a Doosan machine. Can you explain how you did the integration here? What kind of machine are you using? A lathe? A vertical mill? Or a horizontal mill? yes please share. I am integrating with a horizontal multi-axis CNC. Is anyone aware of any network COMM options? I believe that there are no available DIO terminal blocks available unless you purchase the Robot Interface Card. There are also no network communication protocols that can be used to call common action codes (i.e. close door, start cycle, etc.). There is onboard TCP/IP socket communications used for calling job files, but I am told that that functionality is limited to the single call port and can't be used for other functions. Any thoughts you might have are greatly appreciated.